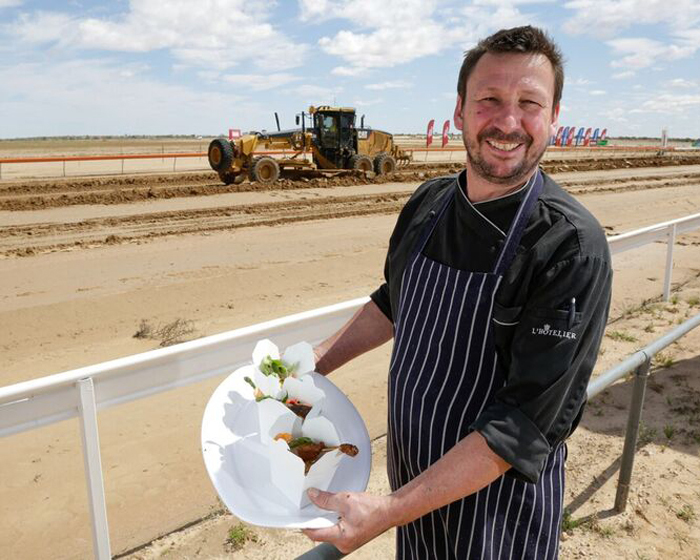 For a 10th consecutive year, acclaimed South Australian chef Simon Burr is gearing up to travel more than 30 hours (1,243kms) to cater for hundreds each day at the Birdsville Races – the ‘Melbourne Cup of the Outback’ – from August 31- September 1, 2018. Burr and his fiancé and business partner Lauren Alexander will leave their award-winning Adelaide Hills Olfactory Inn restaurant (AGFG Chef Hat 2018), in the hands of their trusted staff and hit the dirt track for an epic Outback catering gig like no other. 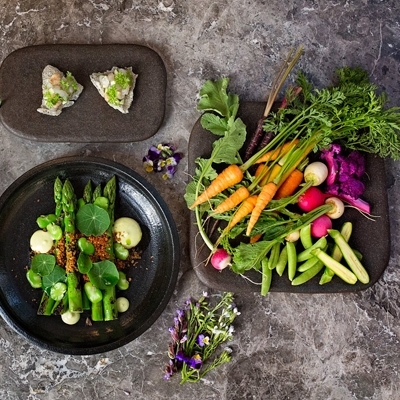 Taking destination dining to a new level, Burr and Alexander will bring their signature blend of fine dining combined with rural hospitality to the quintessentially Australian event, plating up an eclectic selection of fusion dishes at the event’s trackside dining marquee. Burr’s big Saturday buffet lunch menu will combine classic and contemporary culinary influences, with mouth-watering mains and morsels such as a deconstructed fillet of beef "chateau briand" sourced from the internationally renowned OBE Organic. The certified organic OBE grass fed beef comes from the local channel country surrounding Birdsville, and will be served with six different types of fresh vegetables - a rare treat for remote outback dining. One of the founders of Woodside Cheese Wrights Artisan Cheesemakers, Burr has rattled the pans across Australia before settling in Strathalbyn with Alexander to launch the Olfactory Inn. The fun-loving chef and his Birdsville team, many of whom have also done several years catering at the Birdsville Races, enjoy the unique atmosphere and experience that comes with catering for such a large-scale remote event. "It’s such an awesome event. We all work really hard, and there are definitely challenges with the Birdsville gig that you don’t really get anywhere else – but it’s well worth it and we get to party and enjoy the of the Races. The town has such a great vibe and we meet a lot of different characters. 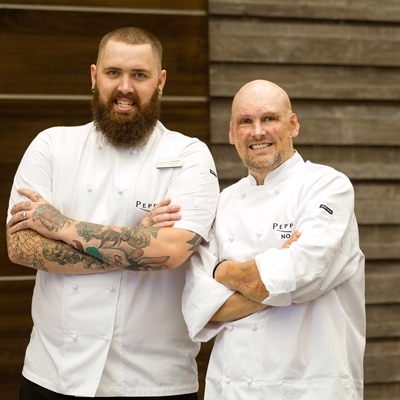 It’s a totally unique experience as both a chef and a racegoer – and one that keeps drawing us back year after year,” says Simon Burr. Burr’s team of cooks has tripled in size since a friend first roped him into catering for the event back in 2008. "The Races have grown and now there’s around 7,000 people in town across the race weekend. And the trackside marquees are always a sell-out” adds Burr. "We’re lucky to have someone of Simon’s calibre managing the trackside catering for us. I like to think we’re more fun than the Birdcage at Flemington, and we get a real mix of people at the marquee – from politicians to well-known TV and racing identities. Last year, we even had the Governor General. They, along with our punters who purchase tickets, have always given us glowing feedback on Simon and his team’s catering. What Simon manages to pull off in a remote outback setting is pretty extraordinary,” says Gary Brook, Vice President, Birdsville Race Club. 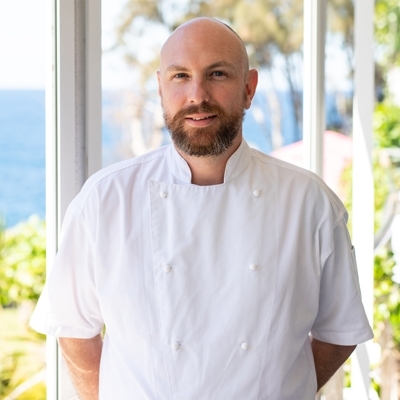 No stranger to outback cooking, Simon previously headed up a mobile catering business which – at its height – had seven travelling food trucks servicing corporate clients for 42 weeks of the year – in areas as remote as Kakadu. 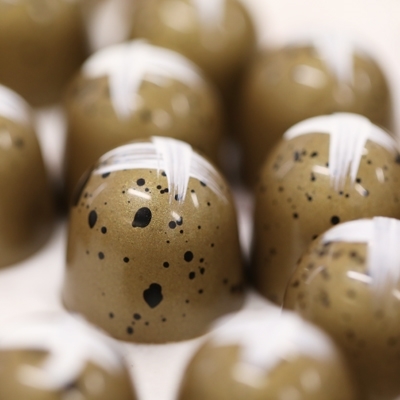 It is this experience that has helped Burr transport his sophisticated flavours and techniques to a remote rural town that usually houses more horse stables than people. "We send 10 pallets of food via refrigerated trucks out to Birdsville for the catering, and everyone seems to love the fresh vegetables we use in the food as they don't tend to get a lot of fresh greens out that way,” Burr adds. The 136th Birdsville Races will run from August 31-September 1 2018. The renowned event will comprise a 13-race program and a wide range of activities and entertainment – from fashion competitions and film screenings, to cocktail parties, travelling boxing troupes, live comedy, charity fun runs and more. 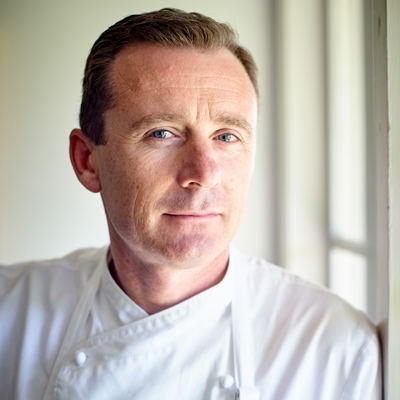 Limited tickets are still available for the Simon Burr catered marquee on Friday August 31. The Saturday race day marquee has sold out. The town population stands at around 115 when no event is being held. The population grows to around 7,000 during race time.